Rising Arm Barriers are a cost effective method for managing traffic access to, and egress from your property. Manufactured from high quality steel and combining inverter drives and relay logic, our traffic barriers provide smooth and reliable operation. Commonly used for staff and visitor car parks in commercial, retail, public and private sector locations. 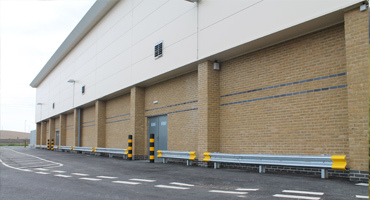 Rising Arm Barriers can be controlled from a manned security point or by the vehicle occupant, using a wide range of access controlled systems including proximity cards, radio, intercom and keypad. Induction loop or/and photocells ensure that the barrier arm will open and close smoothly, safely and efficiently upon activation. Finish: Polyester Powder Coated, corporate colours available on request. Armco Crash Barrier is a cost effective system to protect people, plant, and property from impact by forklifts and moving vehicles. 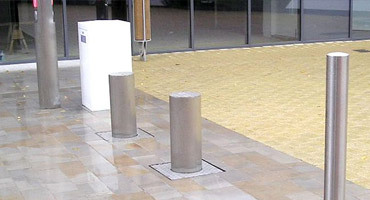 Our range of fixed and rising bollards are designed to provide safety, security and protection, whilst at the same time being an aesthetically pleasing solution. 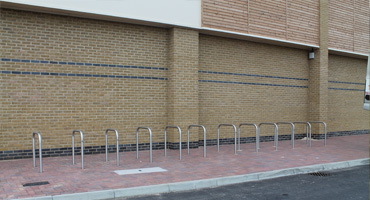 Our Hoop Barriers are designed to secure vehicles on a forecourt whilst maintaining pedestrian access for easy viewing. 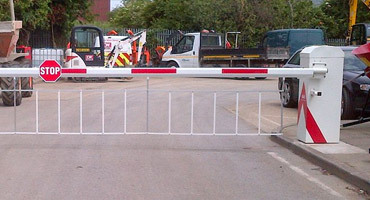 Our Vehicle Barriers can be manually operated or fully automated with access control. A cost effective method for managing traffic access to and egress from your site.